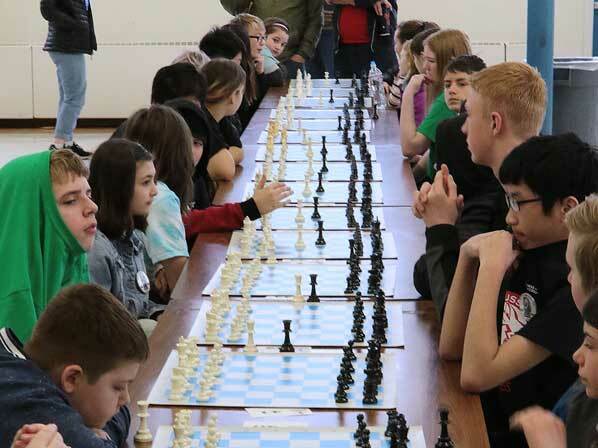 Silently, these middle school students await the start of their games of chess during the Chess for Success region tournament held at a school in the Montavilla neighborhood. 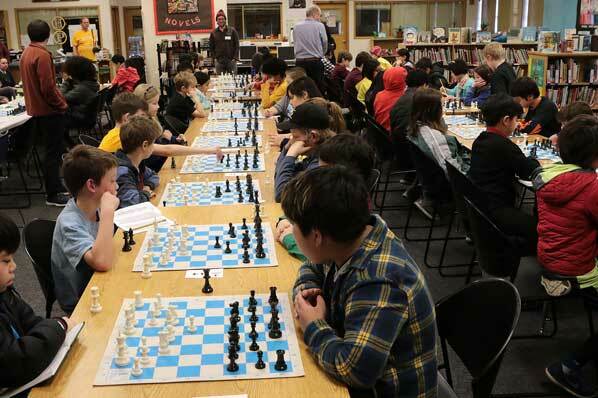 Because they’re not looking at a video or smartphone screen, it may be difficult for anyone today to imagine rows of youngsters, just sitting at tables facing one another, quietly focusing on a game of chess. 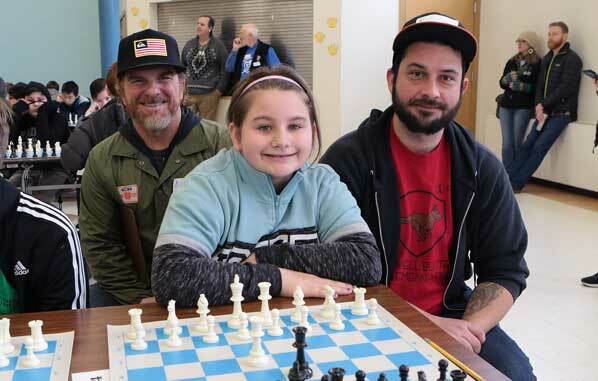 Powell Butte Elementary School volunteer chess coach John Naimo and Sean Power flank their sixth-grade student in the tournament, Emma Anundi-Boland. 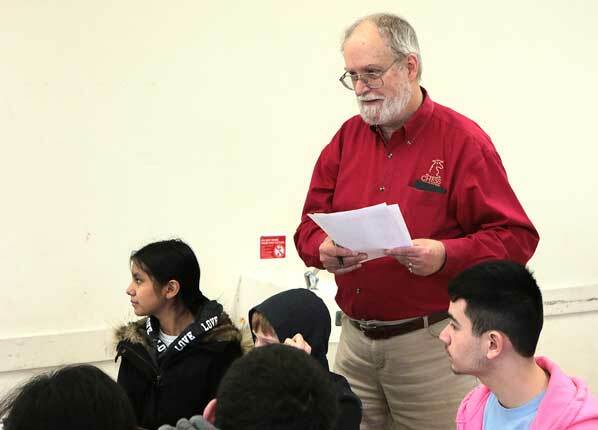 Tournament director Richard Crockett verifies that all of the chess players on the roster are set to play a game. Focus and concentration is evident, as another game of chess among these elementary school students begins. Learn more about Chess for Success by visiting their website: CLICK HERE to open their home page.